All special requests during your yacht charter will be reviewed individually on request and subject to availability of material in Martinique. For your flight tickets from Paris to Martinique, our partner AIR CARAÏBES offers you some exclusives prices and services. So just ask us for your VIP CODE when you booked a boat with Punch Croisières. 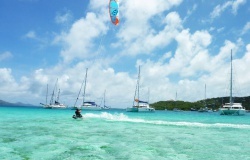 From Martinique, the ideal is the archipelago of the Grenadines, distant of a hundred miles. 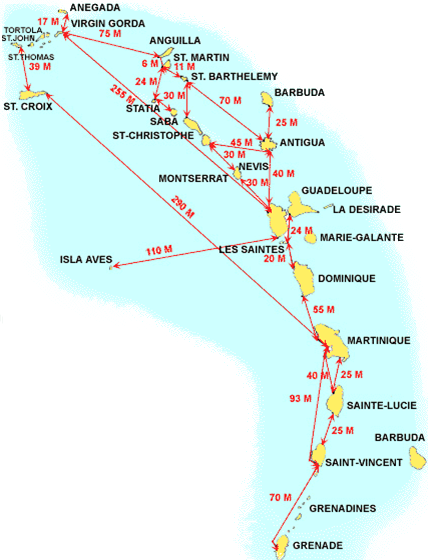 You can also consider a cruise to Dominica and Guadeloupe. Flights to Fort-de-France landing from 15.00 and you will be after the transfer to the Marina between 17:00 and 22:00 on site. If we are no longer there at your arrival, the taxi driver will take care to bring you to your boat. Your vessel awaits for you, ready to go, bedding on board for that first night. You will also find the different forms to prepare for the next day and the inventory of the boat. The next day, our staff will do a detail handover of the boat and a "briefing chart" including the navigation in the Caribbean, nice anchorage and stopovers on land not to be missed during your Caribbean cruise. From the perspective of weather, the Caribbean Sea is one of the most comfortable navigation area due to the presence of trade winds that provide regular winds 20 to 30 knots between early January to late April and falling slowly at early summer time. The sailing takes place in the lee of islands, the Atlantic side is not interesting at the coast due to the presence of a coral reef difficult to cross. You thus find rough seas between the islanFor a South tour, we advice a 12 to 14 days cruise in order to appreciate the beauty stops and make only short steps in navigation. 10 days of boat rental are sufficient for a program with some longuer periods of sailing, and for a 8 days cruise, we recommend a one-way to Union with a return by plane to be free on the straight return navigation. Remember to include in your Caribbean cruise program the stop signs at customs on the island of Dominica to the north or St. Lucia and St Vincent and The Grenadines to the south. The exit and entry clearences are mandatory in these states (paying), which can sometimes take a little time. You must plan a stop in the islands to offices opening hours. ds, in the "channels" with a short wave and steady winds, navigation in the islands being more calm, the wind blowing through flurry. 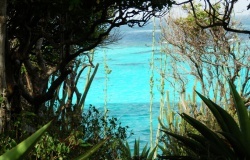 In the Grenadines, you will sail early in the day to be at your destination in the afternoon because the depths are littered with "cays" coral heads flush.So, that it is best to approach the day with the sun still high to avoid the glare of the sun and clearly distinguishing the depth.